Fernando del Paso in Guadalajara in 2007. 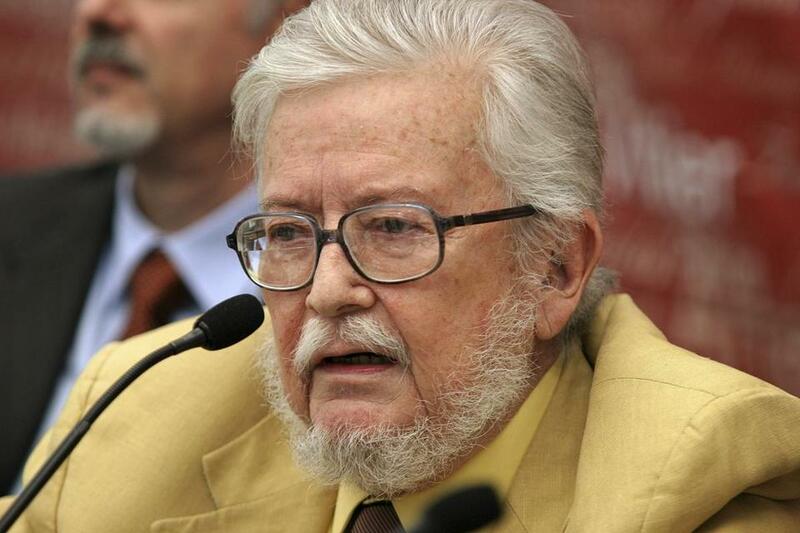 NEW YORK — Fernando del Paso, a Mexican writer of baroque novels who in 2015 won the Miguel de Cervantes Prize, the most prestigious Spanish-language literary award, died Wednesday in Guadalajara, Mexico. He was 83. His death, in a hospital, was announced in a post on the University of Guadalajara’s website. He was the director of the university’s Octavio Paz Ibero-American Library. Mr. del Paso’s sprawling novels were based in history and rife with digressions, allusions, and metaphors stacked on metaphors; his sentences could stretch on for a page or more. Mr. del Paso’s first novel, “José Trigo” (1966), in which an unnamed narrator searches for a man at a railroad camp, is frequently interrupted by asides about historical events, like the Mexican railroad strike of 1959; his third, “News From the Empire” (1987), tells the tale of two European royals who tried to establish a monarchy in Mexico in the mid-19th century, with disastrous results. But plot synopses do little to convey the scope of Mr. del Paso’s work. Fernando del Paso Morante was born on April 1, 1935, in Mexico City. He was variously employed as a diplomat, journalist, and advertising copywriter and lived abroad in Paris and London for many years. He was also a painter. As a writer he published volumes of essays and poetry as well as novels. His first published book was a collection of sonnets, “Sonetos de lo Diario” (1958). He leaves his wife, Socorro Gordillo, and three children, Alejandro, Adriana, and Paulina.